When it comes to auditioning for summer ballet intensives or ballet companies, the first impression is everything. Artistic Directors and ballet instructors are looking for dancers who look cleanly and neatly put together. They look for someone who catches their eye, but not in an “in your face” way. That’s why you want to make sure you look your best. Here are a few tips to help you look your best in summer intensive and ballet company auditions. 1.) Ditch the warm-ups. Unless you are injured, or want the director to think that you are injured, do not wear warm-ups in an audition. Even worse, you could give them the impression that you are hiding something. If you arrive early enough to the audition registration, you should have plenty of time to warm-up while you are waiting for your audition to begin. As soon as you enter the audition room, all warm-up attire should be off. What not to wear- Are you going to a ballet audition or the gym? 2.) Wear an appropriate leotard. You are better off to pick a simple leotard in a style and color that flatter your body and show it in the best possible light. Many custom leotards from companies such as Yumiko may be beautiful but come off as too complicated and will distract the Artistic Director or teacher from your dancing. Also stay away from strappy back leotards or anything that cuts your back in half. School and company directors are looking for lines and I’m not talking about the ones sewn onto your leotard! 3.) Make sure it fits. The last thing you want to be worried about in an audition is your leotard falling off or riding up in the wrong places. Test out the leotard you plan on wearing to your next audition in class to make sure it is comfortable. Fidgeting will also distract both the director and yourself from the dancing. A classic Mirella leotard in a flattering color is always best. 5.) Confidence. Nothing looks better than confidence. Wear it proudly and you will succeed! I hope that these tips help you out in your upcoming summer intensive and ballet company auditions. If you need more advice about what to wear, how to fix your hair, and what is the best makeup, I have dedicated an eBook called The Ballet Audition Preparation Guide to answering these questions and tons more. If you are like most ballet dancers right now, you are preparing for December Nutcracker shows. Nutcracker is my favorite time of year because it helps you to gauge where you have made improvements from the previous year. 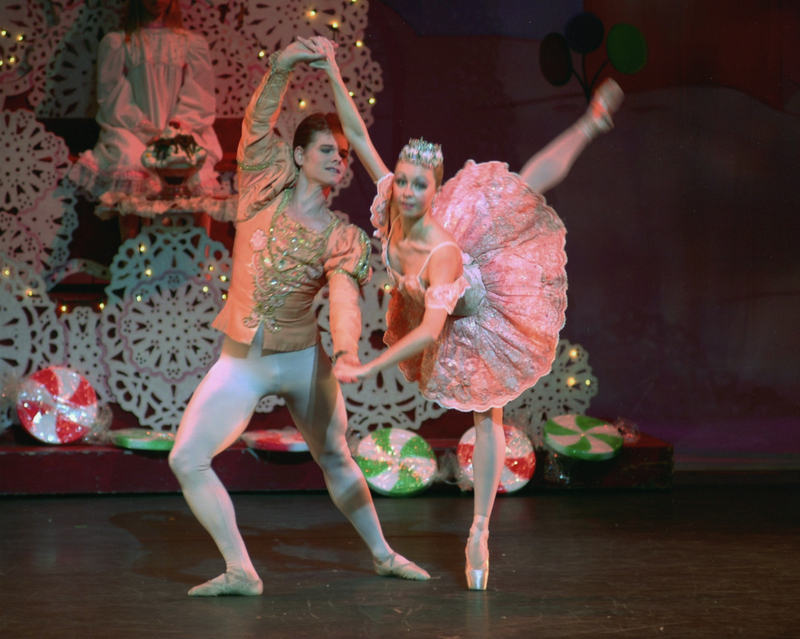 Whether you are performing new or the same roles in your school’s or company’s Nutcracker the following tips will help prevent you from getting burned out and allow for successful Nutcracker shows. Tip #1: Perform Every Day: To keep a role from getting stale whether you are new to it or are repeating it from previous years, you must become the best actor/actress possible. I know you have heard this time and time again but you must pretend like you are on stage every time that you rehearse your role. If you approach each role as just going through the motions this may show come stage time. If you approach the role with the energy and enthusiasm that you would use in a performance it will be easier to do so on stage (and even help with nervousness!!). Tip #2: Set Goals: Approach each rehearsal with a goal. Think something like “I will really focus on pointing my feet at the point where I usually get tired” or “I will hold my arabesque balance longer today” or “I will work on musicality.” In one of the ballet companies that I danced with, I performed the role of Sugar Plum Fairy three years in a row. If I hadn’t set goals for myself each year, I would have been so bored with the role. Each year I approached the role differently so that it would still feel new and fresh. Tip #3: Visualize: Sometimes the most productive rehearsal for dancers can be one that involves no physical movement at all! Try this exercise- Play the music from your Nutcracker dance on your ipod. Lay down with your eyes closed and listen to the music, envisioning each step. 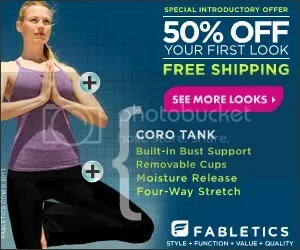 Now envision yourself performing each step perfectly and seamlessly, the way that you want. This will help tremendously in rehearsals when it comes time to perform tricky dance sequences. I used to practice this before bed each night. Tip #4: Don’t Stress: Nutcracker is all about having fun, right? So don’t sweat the small stuff. If you make a mistake on stage don’t let it show on your face. The audience will never know. I wish you all a successful Nutcracker time whether you are performing with your school or company. Stay focused but keep it fun and you will be on your way to your best Nutcracker ballet performance yet! As a professional dancer in San Diego I do not get many opportunities to see truly great dance companies perform without having to travel to another city. It has been a long time since I have been excited to see a company as I was when I purchased tickets to see Complexions Contemporary Dance perform at the Birch North Park Theatre in San Diego on Saturday, May 7, 2011 at 8:00 pm. The evening started off with a piece called Moon Over Jupiter choreographed by Dwight Rhoden set to classical music by Sergei Rachmaninov. From the moment the curtain opened I knew that this one was going to knock my socks off. The Women wore nothing but leotards, showing off their tight and toned legs that even the best body builders would be envious of. 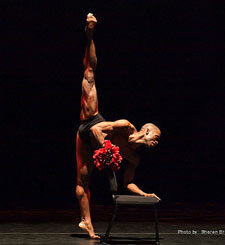 The Men were shirtless sculptures of art that definitely showed off the demands of the intricate leg and foot work displayed in Rhoden’s choreography. I was wowed by this piece like I haven’t been in years. The choreography embodied the technical athleticism and intelligence that the dance world has not seen since George Balanchine. The “slides” which may have looked like mishaps or slips to uneducated audience members very much reminded me of the hip thrusts in the ballet Concerto Barroco (Balanchine). This was my favorite piece of the evening because of the stunning athleticism and stamina required by the dancers who are so lucky to work for such an amazing choreographer. Notable dancer was Sabra Perry who’s fluidity of movement shocked me. At first sight, this gorgeous long limbed dancer is awkwardly tall and very Darcy Bussell like. I have never seen long limbs move so effortlessly and Rhoden’s choreography clearly suits her well. After the first intermission three pieces were presented, none of which I was particularly fond of. Moody Boot Blues started off fabulously but I wished that it was longer. Desmond Richardson’s solo, Moonlight, was amazing and emotional of course but I would have liked to have seen a more dancy solo. This was a great break from the technical pieces though and I feel that the audience received it well. My least favorite piece of the evening was On Holiday which reminded me of being at one of my Dad’s ( a Jazz Musician) Jazz clubs as a kid. Great choreography, great concept but a bit boring and slow to watch. The highlight of the evening was Rise, a piece choreographed to music by U2. The feel was automatically one of a rock concert with music blaring, smiling faces, and a feeling that dared the audience to get up and start head-banging. This piece was so much fun to watch and looked like even more fun to dance. It reminded me of one of my favorite ballets Brand New Day by Kevin O’Day, which was a ballet done to the music of Sting. Notable dancers were Patricia Hachey who’s flawless training and technique truly shined as the song lyrics radiated from her being and Natalia Alonso who’s gorgeous physique continued to amaze me throughout the evening. Overall this was an amazing evening that refreshed my opinion of dance. I feel that Rhoden’s choreography is truly the way that the dance world should be headed with the athleticism, long lines, and organic movements that aren’t tastelessly contemporary nor too safe like much ballet choreography these days. This was the perfect blend of everything that you would want from a truly great dance performance. I’m hearing a lot about retirement lately from a lot of my young dancer friends. There is a common question whispered throughout the ballet community; How do you know when to retire? I had a conversation with an old friend of mine, Matthew, who dances with Kansas City Ballet a few weeks ago and he brought up a few valid points concerning retirement. Would you rather go out with a bang, at the height of your career? Or be caught “falling off pointe” at 40? When he said the “falling off pointe” I completely lost it in laughter. How many of us have seen this exact thing. A dancer hanging on to her career by a thread (or toenail), all the while doing the audience a huge disservice. How does an Artistic Director go about telling this once magnificent dancer that it’s time to hang it up? Is your company’s principal dancer holding the rest of the company back? There is a company here in Southern California that has a dancer like this, and I could name about ten other companies with the same problem. While this forty-something Principal Dancer may have artistic qualities to add to roles, she needs to channel her passion in another way…perhaps through coaching. On the flip side of the coin, dancers are retiring a lot younger than they used to. For many, the economy has made it so that ballet companies are having to make cutbacks. This is making the job search hard for young dancers and even for dancers who are experienced. Principal and soloist caliber dancers are being turned down by companies because they can use young, inexperienced dancers for free. Do you want to be caught on stage falling off pointe?